An officer who has placed neighbourhood policing as the bedrock of law enforcement in Britain has today been given the chance to put his beliefs into practice – as the newest chief of a regional force. Gavin Stephens has been named as the preferred candidate for the vacant post of chief constable of Surrey Police. The ratification of his appointment will go before Surrey’s police and crime panel next month. Police and crime commissioner David Munro said he was delighted that the “skills, experience and passion” of acting chief Stephens was ready to take the force into an “exciting future”. The April 5 ‘anointing’ of the new lead will complete a bottom-to-top progression for T/CC Stephens who has held every rank in the Surrey force since joining in 1996 from a three-year stint with Cambridgeshire Constabulary. Since January T/CC Stephens has been in acting charge of the force following the departure of Nick Ephgrave to the Met as assistant commissioner. Former CC Ephgrave held the top post at Surrey from July 2016. The new chief said: “I have always been proud to be a constable in Surrey Police. I’m absolutely delighted to have been offered, and accepted, the role of chief constable. “I am privileged to lead, and work with, so many talented people who are dedicated to making Surrey a great place to live, work and visit. “I passionately believe that Surrey Police has a bright future ahead building on the firm foundations put in place by Nick Ephgrave over recent years and I look forward to making it an outstanding organisation, which plays a central role in the success of our county. 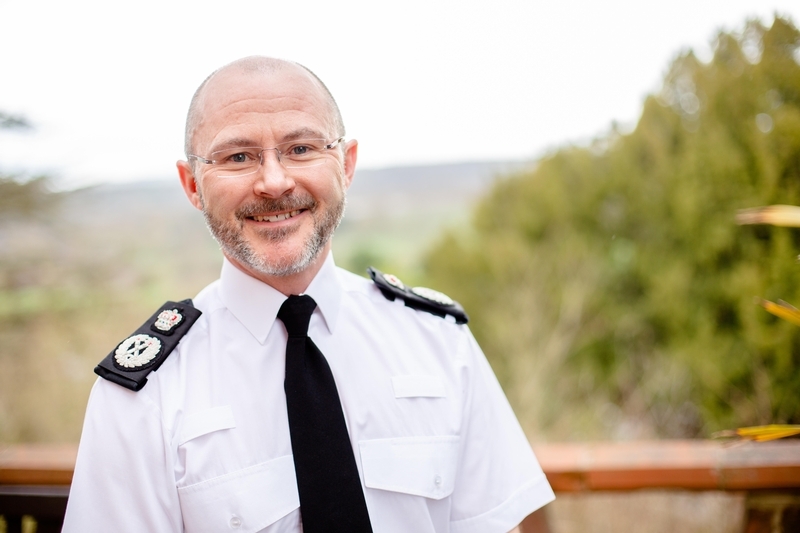 As National Police Chiefs’ Council lead for neighbourhood policing, he has recently helped develop a new national guidance on the discipline – working with all forces in the UK to improve the service provided to local communities. While working on the guidelines with the College of Policing and the Association of Police and Crime Commissioners last July, he spoke about his views on “spending time wisely” on effective activities in the face of the massive reduction in officer numbers in the last decade. He said: "Neighbourhood policing is a foundation of British policing and essential in building trusting relationships with communities that allow us to police by consent. "Over time, the nature of crime and disorder that undermines our communities' changes, and it is essential that we keep our practice up to date. He called for chief officers to ensure neighbourhood policing teams have a targeted, visible presence and provide a greater focus on community. The guidelines were developed in response to a damning 2016 HMICFRS report which raised concerns local policing has been eroded. They put an impetus on chief constables to ring fence neighbourhood policing teams but not to try to advise chiefs how much they should spend on local policing. Chiefs have been encouraged to give neighbourhood teams access to skilled analysts and professional development, share data between forces and identify what communities need from neighbourhood policing.